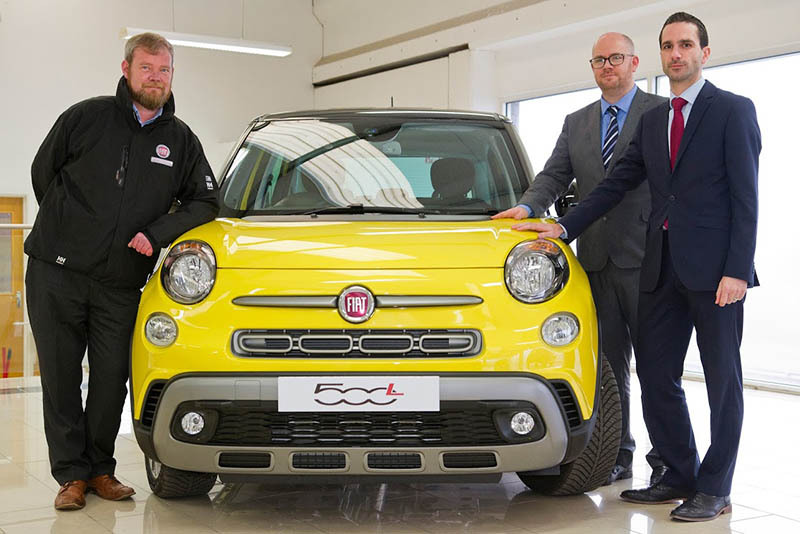 The family-run business has been appointed to represent Fiat in Drogheda, providing customers across both County Louth and County Meath an accessible new home for Fiat. The newly refurbished showroom will stock the full Fiat passenger car range including the iconic 500 and its family of vehicles: 500X, 500L & 500L Living, plus the C-segment Tipo range and Panda and Punto city cars. Fiat Professional’s wide range, including the renowned Fiorino, Doblo, Talento, ever popular Ducato and Fiat Fullback pick-up, will all be available at Brian Reynolds Car Sales. Following on from this appointment Fiat Chrysler Automobiles Ireland will now focus on further network expansions across the country.